Oklahoma Connection | Evans was born in Shawnee, Oklahoma. 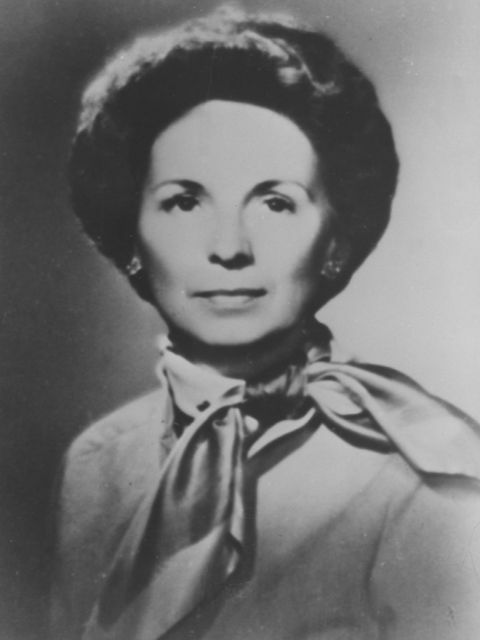 Mary Johnston Head Evans was regarded among the finest public speakers of her time and was the first woman to address the Judicial Conference of the Tenth Circuit Court. In addition, she was twice named a panelist to the prestigious Aspen Executives Institute. Oklahoma native Mary Johnston Evans graduated from Classen High School in Oklahoma City and attended Wellesley College in Massachusetts, the University of Oklahoma, and Wharton School. She married Ben T. Head in 1949 and became president of the Junior League of Oklahoma City in 1968 and became a board member and/or trustee of many organizations in the area, including St. Anthony Hospital, Presbyterian Medical Center, and the Y.W.C.A. Mary also served on the Citizens Advisory Committee on Transportation Quality in Washington, D.C. (1968-1973), the Committee on Probation Officer Training at the Federal Judicial Center in Washington, D.C. (1970-1972), and was a Trustee on the National Council of Crime and Delinquency in New York (1971-1976). Mary was also awarded the Liberty Bell Law Day Award for outstanding contributions to the legal profession by a layman.